COMING SOON: ARAI PROFILE V PRODUCT OF THE MONTH - GAERNE GX-1 BOOTS Royal Enfield OneRide 2019 MV AGUSTA 2018 DEMO CLEARANCE FREE PANNIERS ON SELECTED TRIUMPH TIGER MODELS BMW END OF FINANCIAL YEAR SALE ON NOW Team SUZUKI ECSTAR's Alex Rins Claims First Ever MotoGP Victory at COTA SAVE UP TO $1,200 ON KTM'S MY19 EXC RANGE ALL-NEW 2019 HONDA 650CC MODELS HAVE ARRIVED TeamMoto Kawasaki Versys 1000 - Demo Day TeamMoto Enoggera Women on Wheels Workshop Night YAMAHA - R3 Guaranteed Trade Kawasaki Ninja 400 - TRADE @ WHAT YOU PAID GUARANTEED! 2019 YAMAHA YZF-R3 IS HERE TeamMoto Triumph Virginia - Scrambler & Speed Twin Demo Day Get Set For Easter Sale ON NOW! Suzuki Katana Available for Pre-Order NEW 2019 KAWASAKI VERSYS 1000 SE & RIDEOLOGY NEW 2019 YAMAHA WR450F ARRIVING SOON! All-New Honda CRF250F Joins Trail Lineup Triumph Summer Run Out 2.99% p.a Comparison Rate Finance on Suzuki RM-Z Range! KTM VIP PACKAGE: MOTOGP 2019 PRODUCT OF THE MONTH - OGIO RIG 9800 ROYAL ENFIELD 2018 PLATE CLEARANCE Kawasaki Supersport Specials and MY19 Models KTM's Exciting All -New 790 Adventure Models Bonus Navigator VI on New BMW F 750 & 850 GS Models PRODUCT OF THE MONTH: BELL ELIMINATOR HELMET KTM'S ULTIMATE RACE 2019 Yamaha Tracer 900GT MY19 GSX-S1000 - Own The Street Limited Edition MV Agusta Turismo Veloce SCS RC Touches Down! 2019 O'NEAL MX GEAR AVAILABLE NOW! QPS and RACQ unite to prevent motorcycle theft in Brisbane City Triumph Factory Customs Announced Justin Barcia Defies Conditions To Conquer Anaheim 1 Suzuki's popular fun ATV, the QuadSport Z90 Toby Price Wins His Second Dakar TeamMoto now stocking Metzeler Motorcycle Maintenance Course 2019 KTM 450 SX-F FACTORY EDITION IS UNVEILED NEW Royal Enfield 650cc Twins! TeamMoto Virginia: Triumph Rat Ride Lighter, Faster, 2019 BMW S 1000 RR Kawasaki's Classic Range Grows With The Kawasaki W800 Cafe ALL-NEW 2019 HONDA SUPER CUB Defensive Riding Course Roadcraft Course ALL-NEW 2019 TRIUMPH SPEED TWIN All new Yamaha Niken Review EICMA 2018 - Most Beautiful Motorcycle Award MV Agusta F4 Claudio - The Most Extraordinary Bike Yet. REA TAKES FOUR OF A KIND CHAMPIONSHIP WIN IN WSBK LIMITED EDITION MV AGUSTA DRAGSTER 800 RR PIRELLI KTM's Daniel Milner Claims E3 Crown and Outright Honours! WIN Like A Girl - Kawasaki's Ana Carrasco IT'S BACK: Suzuki's 2020 Katana Unsheathed! All-New Triumph Scrambler and Street Twin Revealed! BMW Reveal New R 1250 GS and RT Models WIN An Arai Helmet Of Your Choice! 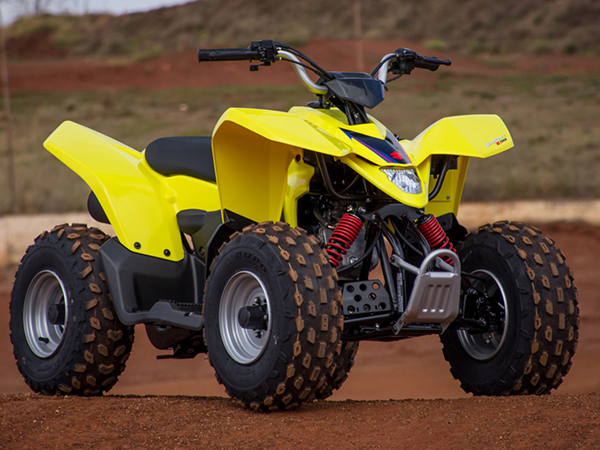 The 2019 iteration of Suzuki’s popular fun ATV, the QuadSport Z90 is now available from Australian dealerships. Specially designed for young riders to grow their skills with, this four-wheeler is ready for action packed fun in its striking new Champion Yellow colour scheme featuring blue highlights, inspired by Suzuki’s RM-Z motocross range. 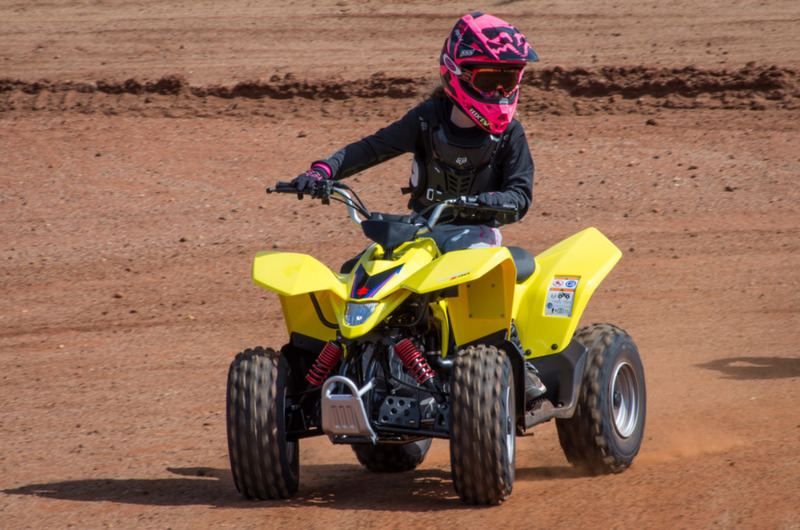 The QuadSport Z90 is suitable for riders ages 12 and above, it’s easy to ride nature promotes a safe way for youngsters to further develop their riding skills. A quiet and smooth 90cc four-stroke air-cooled engine is coupled with an electric starter and CVT automatic transmission, providing easy operation and allows the rider to focus on riding instead of shifting gears. 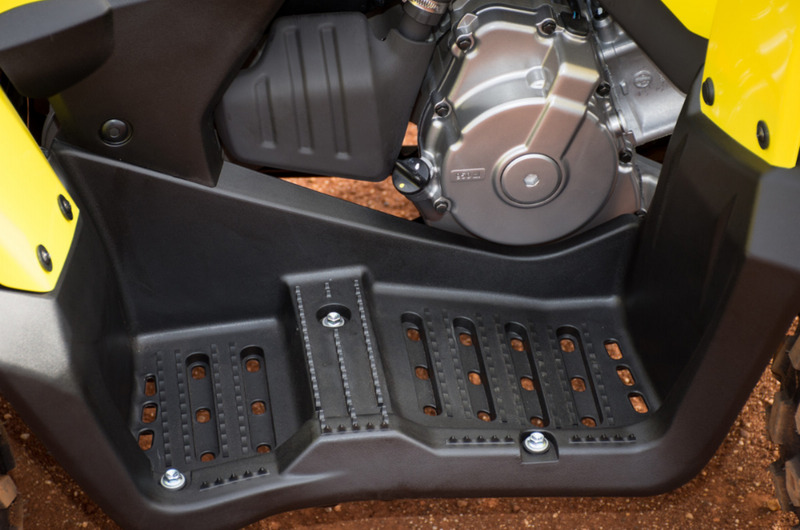 Engine power can be controlled to suit rider’s experience via the adjustable throttle limiter. Safety features include a keyed ignition to provide maximum parental control. Tackling tight corners and rough terrain for junior adventurers will be a breeze thanks to the QuadSport Z90's plush, single A-arm front suspension with twin independent shock absorbers and single-shock rear suspension providing long wheel travel for a smooth, comfortable and balanced ride. There's also a more than satisfying 6.0 litre fuel tank which means there's plenty of playtime between fuel stops. The QuadSport Z90 is an ATV packed with quality, safety and style making it the perfect choice for youngsters. 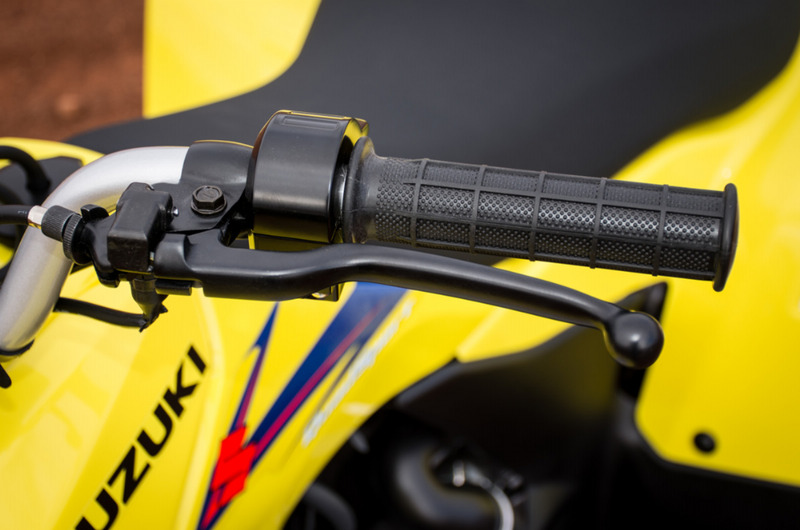 The 2019 Suzuki QuadSport Z90 is available from now for a customer collect price of $3,865 and is backed by Suzuki’s 6-month warranty.